When I was young, I would lace up shoes and run. It was freeing. It wasn’t till later, much later, when I read Eric Liddell’s story that I realized, in part, why I loved it so. There was a peace in the pursuing an end, a joy that spilled out as feet fell to the ground in a composed cadence of legs, arms, heart and lungs moving in unison. Eric said he ran because he felt the joy of the Lord. Although, I didn’t understand it then, running connected my soul to the deeper things, the good and the glorious things, and it would ultimately teach my children more about themselves and God, as well. Circumstances prevented me from running in school. I found it again, later, as means to get away from the chaotic busy-ness being a parent brought into my life. 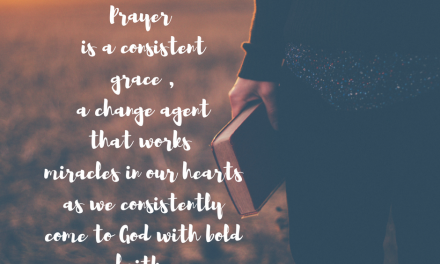 It was the prescription of grace for my weary soul when homeschooling and parenting and life pressed in and I needed a respite from it all. Running filled my tank because it allowed me quiet time to pray and be alone; and when my kids got older, they started running with me. Those noisy folks, whose lives are more dear to me than my own, who drove me to run because they were all in my space, started filling my sacred time up with their presence again as we laced up shoes together and logged miles. How ironic is it that joy came to fruition in the act that was first a sanctuary of rest and was now a gathering of unity? Running is easy for a few and hard work for the rest of us. 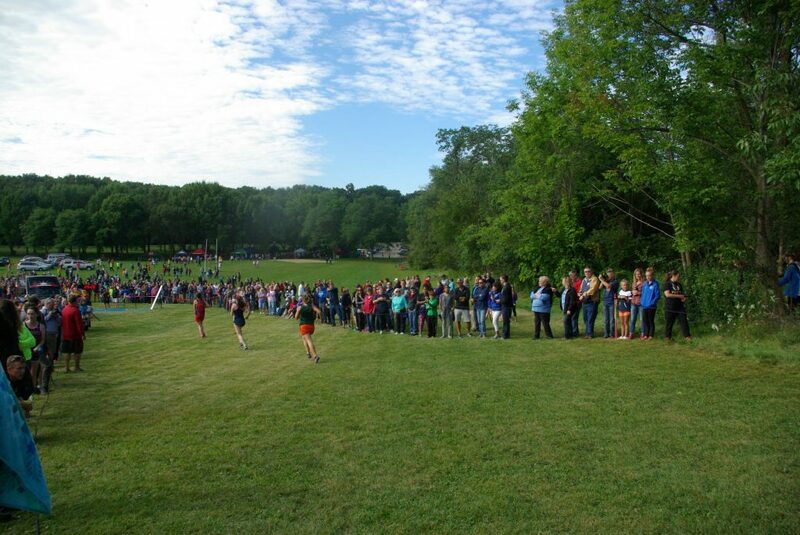 My daughter’s first year running cross country was less than joyful for her. To be honest, I forced her to join the team with her big brother who loved to chase the horizon like me. She fell in love with her coach and the people she soon called friends, but running was a not a love she owned. She worked, and cried, and tried, and kept trying. And her heart changed piece by piece. She still doesn’t love it like her brother does or find the joy that I still feel when I am spilling the world’s baggage as I log miles…but she found her superpower because of running…and that is definitely something to love. Being the last runner into the finish was hard on her heart that first season. However, halfway through it, a teammate who was recuperating from an injury asked for permission to run with her during the races, in order to bring encouragement to my daughter through those hard races and to pace herself as she healed. My daughter agreed, reluctantly at first. Each week we saw the two girls running…one, a more experienced runner, talking the newbie through the stages and two, a quiet resolve to push through. My momma heart burst, almost every time I would see her face, a mixture of defeat and relief displayed together. When pride launches a war in our heart, the lesson we learn is that needing and accepting help is a blessing God uses to train us to also be those who help and encourage others willingly. She persevered with this teammate counting steps alongside her. They ran only a handful of races that way together. Healing came, body and soul, as one slowed down to pour into the other. 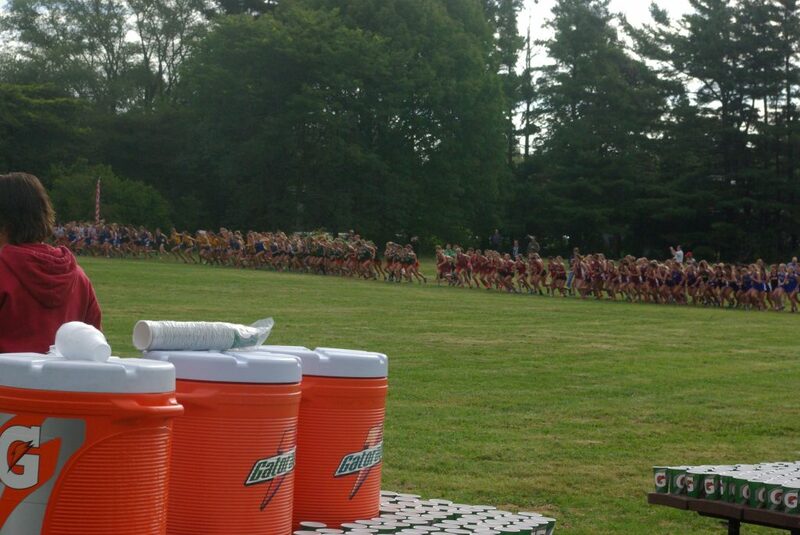 And grit took place of grumbling as purpose met determination on the course. By the end of the season, she was no longer the last one to cross the finish line in a race and she was running right up with the teammates that were so far ahead of her. We are called to be encouragers. 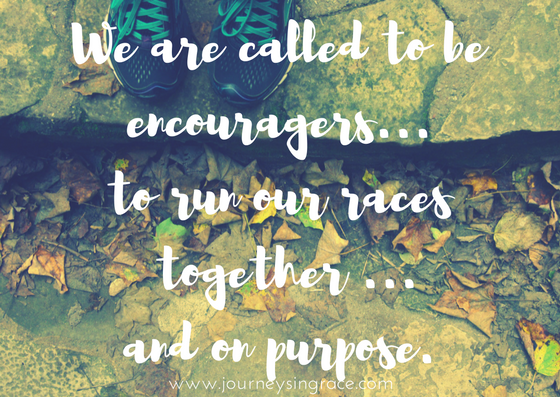 To run our races together and on purpose. We are meant to slow down and pour into people… pour grace out of ourselves that we didn’t deserve and lavishly dump it into others. Each athlete is encouraged to journal their journey; to write down the discoveries they make while they run by their coach. Because my daughter is a lover of words, her journal entries are book-length. But she invited me into her world by sharing them with me the other day…a lot like I invited her into my world by encouraging her to run. Her words left me in tears when I heard them because she caught one of the single most important lessons that I could have ever wished her to know. And she learned it while running. 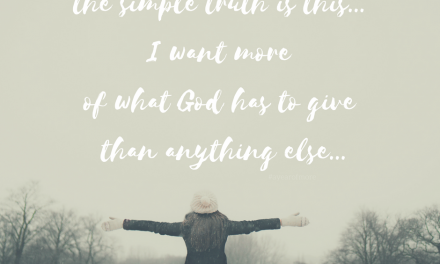 It reminded me of why I write to you…of why pouring out grace is so important. She told me that her favorite part of running towards the back of the pack is being able encourage the people who are running with her. It doesn’t matter that they are not on her team because they are all running the same race and pushing one another on. And the goal is to finish well. Last Saturday was a big meet; and she had a big goal. 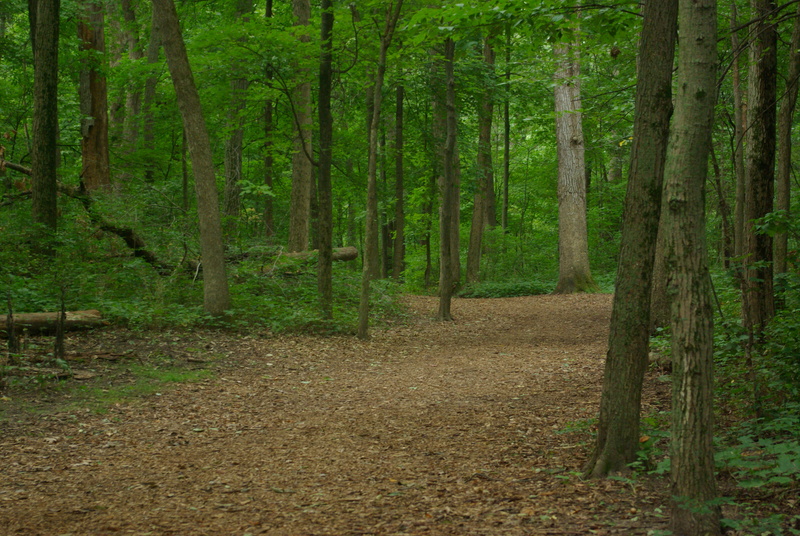 As she came to the 3rd mile, with a hill and 100 meters to run, she was running on desire alone. Though she was not running last in the race, she was last on her team. 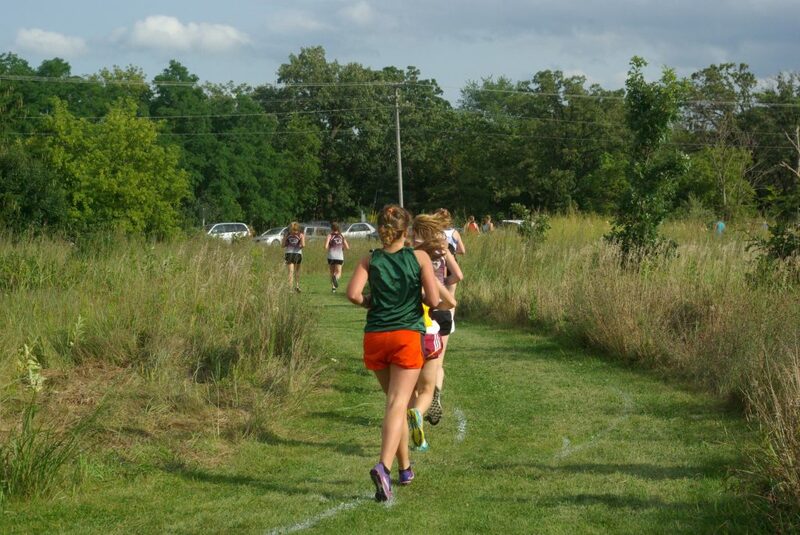 Her goal was to pace the teammate directly in front of her, to run together, and finish close at the end. As she came to the hill, she saw her teammate stop and she realized in the moment the weight of her next choice. The words in her journal spilled over my soul and the lesson she learned was a reminder to my own. Because she was encouraged, she knew the power of being an encourager. Encouraging others is a superpower we ought to always be willing to risk using. Yelling at her teammate, pushing her to finish strong… it meant she would be last again, in the team standings. But being last is really being first in the upside down gospel of Christ, and always what the world declares best is the polar opposite of God’s best. I watched them run up that hill. I saw my daughter surge and push and sprint to the end finishing with a sub-30 5k run. A year ago, she ran that race and was the last one to cross the line. And even though she was the last runner on her team, not the final runner in this race, she learned perhaps the most valuable lesson. Encouraging others to finish well is more than worth the risk of coming in last yourself. How are you counting grace this week? Where have you been encouraged by others not to give up? 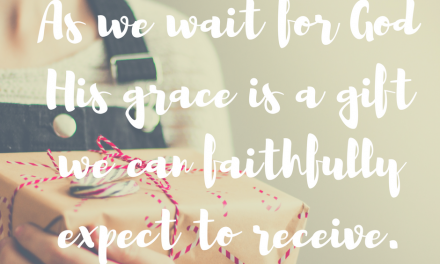 Are you pouring that grace lavishly upon others, too? I love this story! In our competitive me-first world, your daughter has “chosen the better part”! 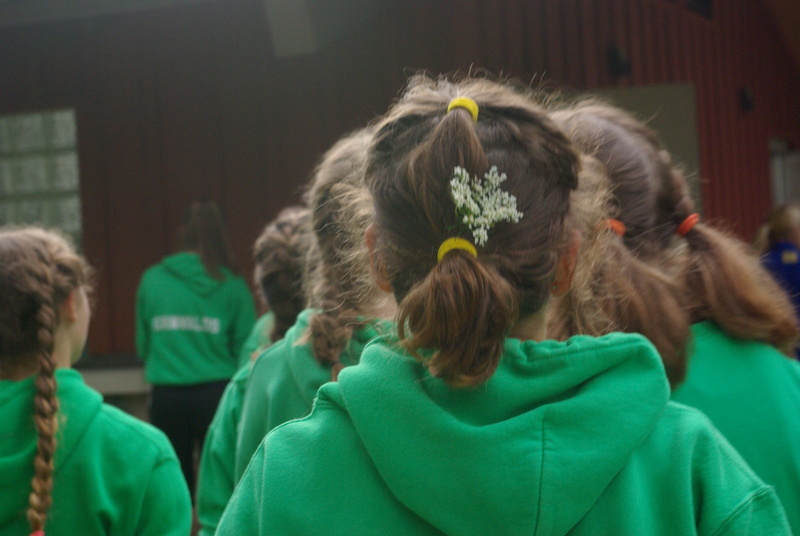 I so can relate to this – as the Highschooler being last on the team, as the encourager to others as I got better and as a mother who re-discovered the joy of running later. Running provides so much similarities to our christian walk/run/race. Encouragement is so key! We all come to Christ differently and all should be encouraged to press forward finding Him! Great example! Thanks for hosting! What a heartfelt testimony, Dawn! I am not a runner in any way, shape or form but I love going on walks to let go of the baggage my mind and body want to hold on.